Jewish life at Swarthmore is both vibrant and diverse and offers all Jews the opportunity to engage with their tradition in a meaningful way. The community strives to create religious, social justice, cultural, musical, intellectual, and social avenues through which Jewish students are able to connect with their Judaism and come together in community. 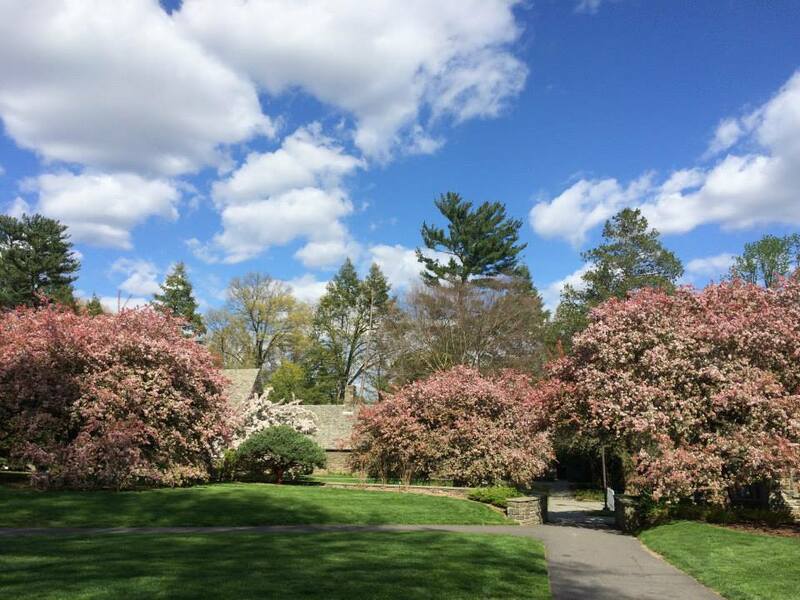 We invite anyone interested in Jewish life at Swarthmore to visit programs sponsored by Swat Kehilah and get a real taste of the vibrant Jewish community. To learn more or get involved, please contact us! And see below for the latest news from Swarthmore Kehilah! We have started staying after we clean up from Shabbat dinner to sing songs, rounds, and niggunim. It’s a great opportunity to learn and teach new melodies, and singing together brings us all closer. We had hanukkah events every night of the holiday all across campus. Various students signed up to do different things every night. We had a latke party, a nigun workshop with Joey Weisenberg, a craft night, bar mitzvah party, and lots of folk songs. We had challah baking sessions throughout the year, which sometimes went to hilarious places. Our members participated in multiple interfaith storytimes, we brought Ori Shavit to run a cooking class, hosted a screening of the documentary Little White Lie with SASS, had a Tu Bishvat study break, and ran a stand at the night market for prospective students. During passover, we pooled resources and took turns cooking dinner every night passover, and had two seders, one led by Adam, the Jewish Student advisor, and one led by students. We are applying for a grant to build a community library in the JSL, filled with prose, plays, and poetry related to Judaism. Reading and talking about books and ideas has been part of Jewish culture for centuries, and some of the most profound works in the Jewish tradition are presented as margin notes to other stories. Following this tradition, we will be stocking the library with bookmarks on which people can write their thoughts as they read. Future readers will find these bookmarks, can leave their own thoughts, and we will gradually build up a collection of books filled with the conversations of generations of Swatties. Bring books from home that you think would work well in the library. Books people donate don’t have to be Jewish books, but they should be good books. Recommend books for us to order here. Stay tuned for further info about finalizing the list, logistics, etc. If you read all of this and are thinking “This is so cool that I want to be deeply involved in creating it,” that is awesome. We are hoping that people who are really excited about this to get involved. Just get in touch and we’ll let you know how you can help! Come join Swarthmore Kehilah starting at 4:30PM on Wednesday in Worth Courtyard for a picnic party to celebrate Lag B’Omer! We will have food from Aria, musical instruments, games, balls and frisbees, haircuts, possibly sangria(!) and — most importantly — awesome friends. Whether you’ve been a regular participant in Jewish life or just want to have some good food and hang out, we’d love to have you join us and end the year on a tasty note. RSVP at the Facebook event! If you have questions, comments, or suggestions, please email Aaron Wagener at awagene1@swarthmore.edu or Josh Wolfsun at jwolfsu1@swarthmore.edu. Announcing Kehilah’s 2015-2016 Student Board! A BIG thank you to all who took part in Kehilah’s elections – whether it was by running, telling your friends, or simply by voting! We had a large response and the race was TIGHT! The community is clearly in for the launch of an exciting, welcoming, and active year next fall! And of course, once again I want to reiterate that there are many, many ways in which to shape Jewish life and programming at Swat – in the coming year, members of board will be reaching out with renewed energy and enthusiasm to see how Kehilah can support as many expressions of Jewish life and identity as possible! Share your thoughts on new Jewish Student Advisor! As you know, our beloved Jewish Student Advisor Rabbi Kelilah Miller will be leaving us for new adventures at the end of this semester. While savoring the rest of our time with her, we are also beginning to search for a new Jewish Student Life Advisor. A small committee of students will meet with the director of Hillel of Greater Philadelphia this Sunday to convey to him what we’re looking for in an advisor, and may be more involved as the search goes forward. In order to find an advisor who will best fit the needs of the whole community, we want to hear from you! Today and tomorrow, a number of the committee members will be holding office hours sporadically in the Beit Midrash so that you can drop by and share what you’re looking for in a JSA on campus (or just study and hang out!). They will be posting their schedules here on the Facebook page. If you’d prefer to make suggestions anonymously and/or online, please let us know what you think by clicking this link! As always, you’re also welcome to reach out to Sarah Revesz (srevesz1@swarthmore.edu), Rabbi Kelilah Miller (kmiller@phillyhillel.org), Aaron Wagener (awagene1@swarthmore.edu), or Joshua Wolfsun (jwolfsu1@swarthmore.edu) by email. Nominations for 2015-2016 Student Board! It’s that time of year again: election season for Kehilah’s Student Board! To kick off our Spring 2015 elections, we are opening nominations for 10 seats next year. Together, Kehilah’s board spearheads diverse programs, initiatives, and more — from religious services, to parties, to text studies, to social action. Click here to nominate yourself or someone you know who would be an amazing leader and team member! Nominations close at 11:59PM on Saturday (4/25). Why run for board? Board members have the rewarding opportunity to shape and deeply engage with Jewish life at Swarthmore, represent Jewish students on campus, and be leaders in creating our Jewish spaces. In efforts to expand our communal spirit and lessen any one member’s personal responsibilities, candidates will run for general board openings rather than specific positions. After all, we have lots of different talents! We hope to generate even more welcoming, productive, and inclusive leadership. Also, we want to emphasize that being on board is not the only way to be a leader in Kehilah! We need all of you to bring your inspiration, excitement, and wisdom to create vibrant Jewish life. There are always many opportunities (formal and informal) for everyone who wants to be involved! Board is only one way to participate. Please contact President Sarah Revesz (srevesz1@swarthmore.edu) or Rabbi Kelilah Miller (kmiller@phillyhillel.org) with any questions. This evening, Swarthmore’s Jewish organization, formerly Swarthmore Hillel, officially announced its new name: Swarthmore Kehilah (meaning “Community”). The decision was made through an open submission process for new names and two rounds of voting. On Sunday at 7PM, online voting closed and President Sarah Revesz ‘17 announced the new name at the college’s Beit Midrash to a room packed with Jewish students taking part in the re-naming celebration.